Nestled in natural surroundings and featuring traditional Balinese architecture, the hotel offers an outdoor pool and a beautiful landscaped garden. 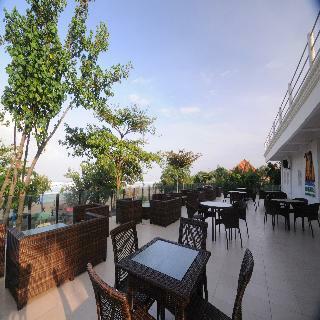 The hotel also offers many facilities to enrich guests' stay in Bali. While lodging at this wonderful Balinese property, guests will be able to enjoy live music at the coffee shop, tour information, concierge services and airport transfer. All the rooms are equipped with high-quality facilities, air-conditioning, a balcony or terrace, minibar, complimentary bottled water, tea/coffee-making facilities and a TV to help visitors recharge after a long day. Guests will be able to unwind enjoying the garden views from their room. The Bali Summer Restaurant serves a selection of European and Chinese cuisines and fresh seafood is also featured on the menu. An excellent location and superb facilities make the Bali Summer Hotel the perfect base from which to explore and enjoy Bali. The hotel is nestled against the shores of Bali's famed Kuta beach in the heart of Bali's entertainment and shopping district. 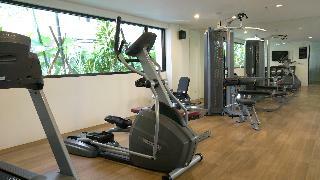 It is approximately a 10-minute drive from Bali Airport. The beach hotel is a place where guests can rekindle the atmosphere of the past 40 years of rock and roll culture. 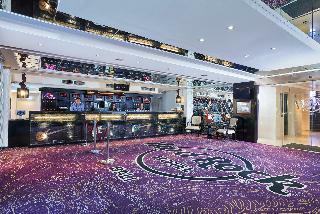 It features 418 tribute rooms and suites fit for a rock star, which are well-equipped with all modern amenities. The rooms are beautifully decorated with memorabilia and icons which give an impression of the development of music, fashion and arts, celebrating artists from the last 40 years. Guests can avail of the outdoor swimming pool, the gym and the hot tub and sauna. Breakfast is served as a buffet. Lunch and dinner may be selected from a set menu or taken à la carte. Guests who come to this hotel will feel like a star. 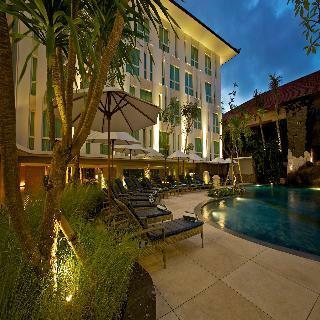 This hotel is located on the south coast of Bali only a short walk from the centre of the tourist resort of Kuta. The various shopping facilities and entertainment venues including bars, boutiques and restaurants can be reached in few minutes. 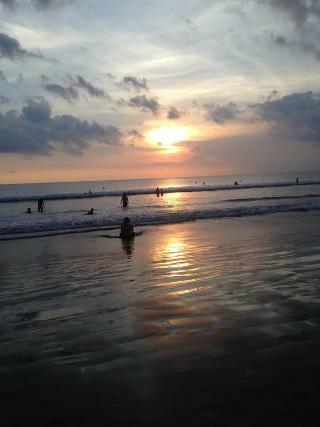 The sandy beach of Kuta is 5 minutes away. Ngurah Rai Airport is only a 10-minute drive away. 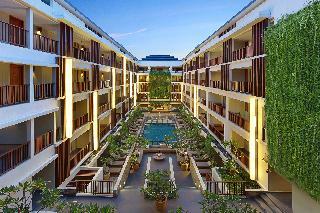 The holiday complex is situated amidst a 2-hectare large tropical garden complex. It offers a lobby area, a car rental facility and a beauty salon. Dining options include 3 cosy bars and 4 inviting restaurants serving Japanese, local and international cuisine. Business guests may make use of the business centre. The welcoming rooms are air-conditioned and come with satellite/cable TV, an Internet connection and a minibar. Each room also features a balcony or a terrace. Outside, a swimming pool, poolside bar and a sun terrace.